As the economy weakens, business pressures increase, short-time working and redundancies are on every one’s mind the day-to-day pressures for managers are increased. What might have been an insignificant internal disagreement between colleagues can suddenly escalate and without careful management minor employee spats can suddenly turn into time-sapping disputes which could cost a business dearly. This month’s ezine provides tips on how you can avoid the most common mistakes made when handling employee disputes. One of the biggest dangers facing all parties within a dispute is that it can lose all proportion to what is at stake for everyone. Research has shown that negotiators have a strong psychological need to justify (to themselves and to others) their prior decisions and behaviors even if the consequences are disastrous. It is often difficult for parties to admit their actions have been wrong. They sometimes will try to justify their conduct later, even when it is clearly wrong to an impartial outsider. WAny manager dealing with an employee dispute should take time out, try and put the problems into perspective and ensure that you as calm as you can be given the circumstances. One things that is bound to accompany a dispute is stress. Stress causes people to behave in unusual ways, so managers need to use a little more tact, diplomacy and patience in their communication with employees. Keeping calm, even when the employee is hopping mad, can help diffuse potentially damaging situations and potentially help to resolve the matter as soon as possible. Our top tip is to ask indirect questions which are less threatening but will help you obtain a full picture of where precisely the employee is coming from. This takes longer than going the direct route but is worthy of the investment. If you are isolated and try to manage the dispute on your own there is a danger that you lose perspective and will make a rash or uninformed decision. It is human instinct to see oneself as right. Use a sounding board – whether that is a professional adviser such as a mediator or solicitor or simply a trusted friend. The right person will be able to guide you through the process of the dispute and enable you to consider the position objectively. If you are not objective about your conduct the chances are that you will increase the likelihood of the dispute getting out of control. Once one is involved in a dispute it becomes unpleasant, time consuming and frustrating th at your time is being spent on a matter which is diverting you from productive business activities. In my experience one of the biggest causes for disputes to escalate is lack of preparation from the managers charges with handling the problem. Some disputes are even causes through a simple lack of preparation. Prior to interacting with staff think carefully about what could happen, consider some ‘what if’ scenarios, rehearse your approach and then go on to execute your plan. We may not all find it easy to put ourselves in someone else’s shoes, especially in a business situation where we are facing pressure ourselves but the really effective managers are those who are able to show an understanding of the other side’s (namely the employees’) position. This goes beyond actually listening to what they are saying and includes a consideration of what their fundamental interests are. When you interact with an employee do not just focus on what they are saying but why they want it. This tactic is done by probing, active listening and testing their position. The key in all this is to ask open questions which allow the other party to talk. We can see the effect of overconfidence in the way that many legal dispute are taken to Court or Tribunal, with parties falsely believing they have a water tight case. Alternatively we see the number of people who invest in the stock market at the top due to their over-confidence in the market. In an era where one is often afraid to be totally authentic for fear of it being exploited from the other side, sometimes a degree of humility can go a long way. Dealing with conflict involves courage and it can be tempting to go down the path of least resistance and simply delegate the problem to someone else. Authentic and direct communication can lead to one being vulnerable but if you display integrity this can go a long way to nipping any dispute right in the bud. There is a time to go via lawyers and by all means consult your professional advisers but do not hide behind them. Keeping disputes out of court - free 14-page white paper from Human Law Mediation providing a complete road map for managers who need to lower the cost of settling disagreements and disputes with employees, customers and suppliers. Download it now for free from the Human Law Mediation website. Human Law Mediation is being increasingly called upon to advise employees on compromise agreements. This is a service we are happy to offer, either face to face or via email and telephone. 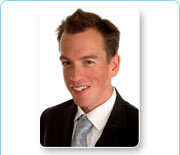 Contact Human Law Mediation on 0844 800 3249 or email Justin Patten via the website.